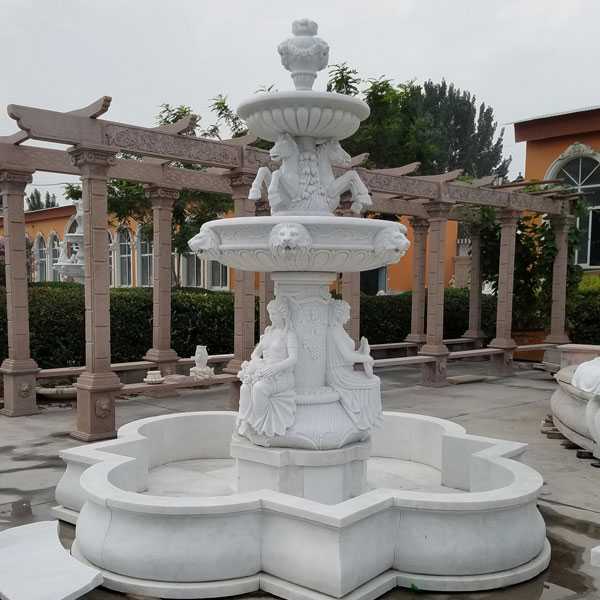 Want to a outdoor modern large art water fountain to decor your garden,this is the best place to choose from,we have lots of various to choose from ! When it comes to decorate your home, it is the best way that you may express the creativity and to allow the home to reflect the personality you have. 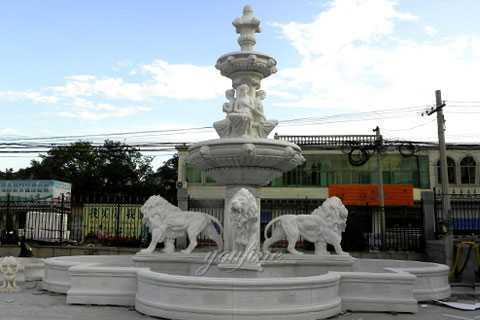 This outdoor modern large art water fountain size: height:4m,width:4.2m .it is 3 Tiered fountain,and the fountain is surrounded with 3 music girl, 6 lion head, 3 rearing horse sculptures,one cute angel baby on the top.the fountain material is grade A marble.and we accept any size modern water fountain design. 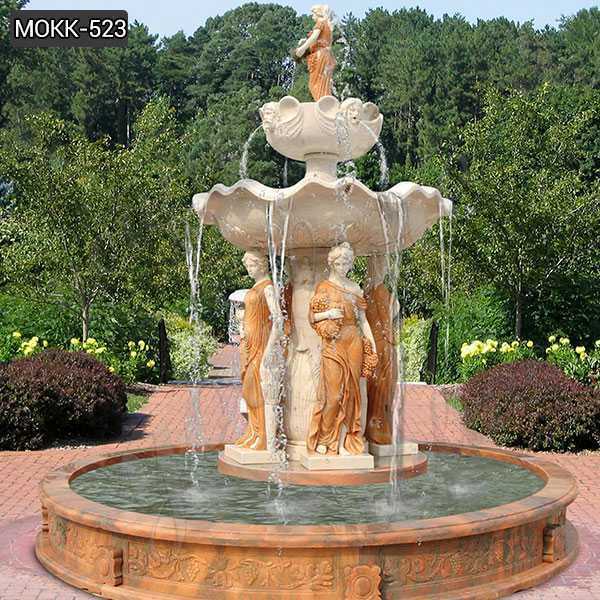 Expertly outdoor modern large art water fountain for elegant homes.Statuary fountains feature figurines, children, angels, mermaids and more. 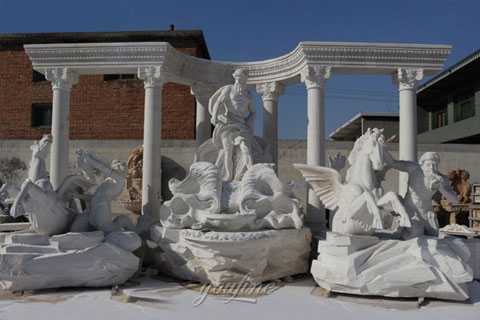 Expert artisans carefully carved each design by hand to capture every detail in stone.We can create your dream statue as a fountain. 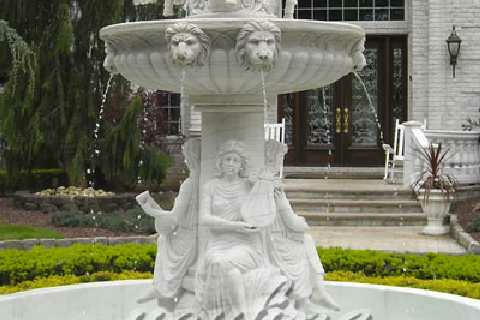 The beautiful sculpting work will make the people to stare or to stop at the fountain to look at it. The water fountain will increase the tranquility and peace. 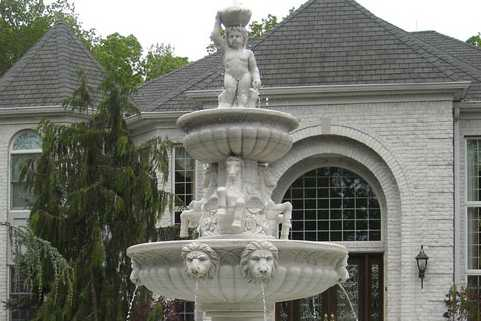 You Fine Art Sculpture is a manufacturer of quality home and garden products. We travel the globe to find the best, most innovative and beautiful products. Our goal is to provide you with products that truly calm, relax and bring peacefulness and beauty into your home both indoors and out. 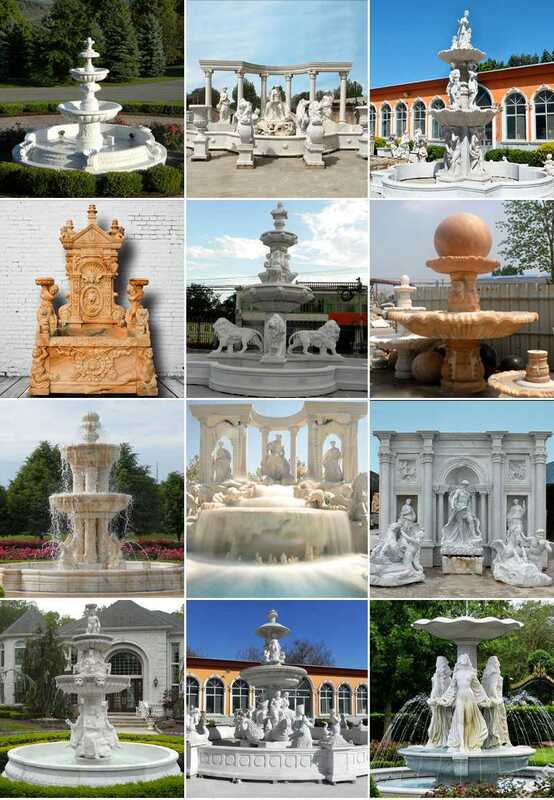 Our vast selection of indoor and outdoor fountains. 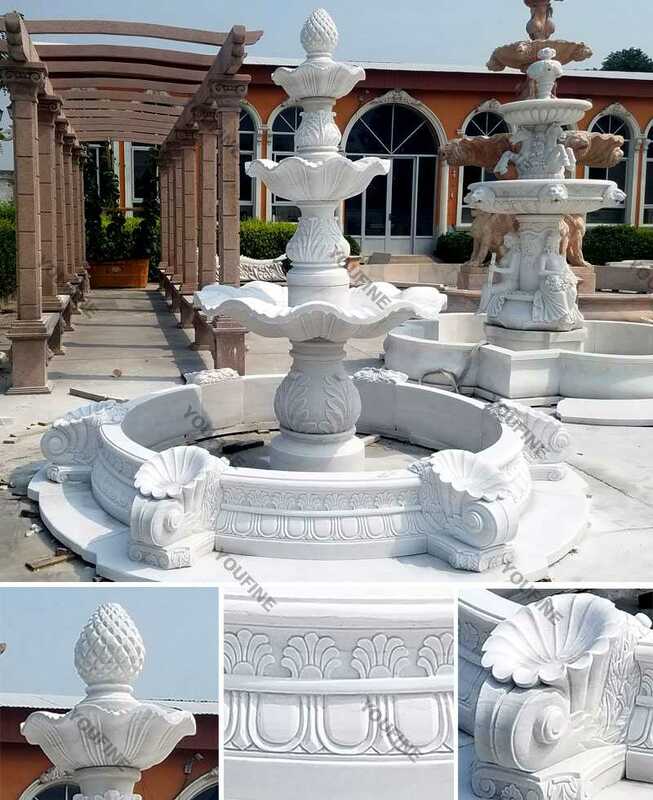 So want to a outdoor modern large art water fountain to decor your garden,this is the best place to choose from,we have lots of various to choose from !